Born in Isparta, Turkey, 1978. Structural analysis and design with emphasis on Reinforced concrete and masonry structures, earthquake-resistant design, evaluation of ultimate capacity of structures under extreme loading including earthquake, wind and blast, employing mostly numerical (finite elements) but also experimental and analytical methods, nonlinear behavior, structural stability, masonry structures, unconventional industrial structures. Sep. 2003 – 2007 : PhD Candidate, Civil Engineering Department, Pamukkale University, Turkey. Deringol, H., A. & Bilgin, H. (2018). Effects of the isolation parameters on the seismic response of steel frame. Earthquakes and Structures, Volume 15, Number 3, September 2018, pages 319-334. DOI: http://dx.doi.org/10.12989/eas.2018.15.3.319. Bilgin, H., & Huta, E. (2018). Earthquake performance assessment of low and mid-rise buildings: Emphasis on URM buildings in Albania. Earthquakes and Structures,14(6), 599-614. Bilgin, H., & Uruçi, R. (2018). Effects of structural irregularities on low and mid-rise rc building response. Challenge Journal of Structural Mechanics, https://doi.org/10.20528/cjsmec.2018.02.001, 4(2), 33-44. Bilgin, H. and Frangu, I, (2017). “Predicting the seismic performance of typical R/C healthcare facilities: emphasis on hospitals”, Int J Adv Struct Eng (2017) 9: 277. https://doi.org/10.1007/s40091-017-0164-y. Bilgin, H., (2015). “Seismic performance evaluation of an existing school building in Turkey”, Challenge Journal of Structural Mechanics, Volume 1(4), pages 161-167. 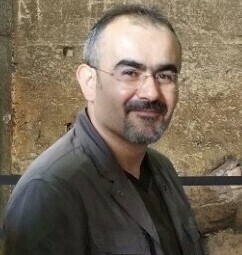 Bilgin, H. ( 2015 ). “Generation of Fragility Curves for Typical RC Health Care Facilities: Emphasis on Hospitals in Turkey.” J. Perform. Constr. Facil. , 10.1061/(ASCE)CF.1943-5509.0000806 , 04015056. Bilgin, H., (2015). “Typological Classification of Churches Constructed During Post-Byzantine Period in Albania”, Gazi University Journal of Science Part B, Volume 3(1), pages 1-15. Inel, M., Bilgin, H., and Ozmen, H.B., (2008). “Seismic Capacity Evaluation of School Buildings in Turkey”, Proceedings of ICE, Structures and Buildings of Thomas Telford Journals,, Volume 161, Issue SB3, pages 147-159. Inel, M., Ozmen, H.B., and Bilgin, H., (2008). “Seismic Performance Evaluation of School Buildings in Turkey”, Structural Engineering and Mechanics, Volume 30, No.5. Inel, M., Bilgin, H., and Ozmen, H.B., (2008). “Performance of Mid-Rise Reinforced Concrete Buildings During Recent Earthquakes in Turkey”, Journal of Turkish Chamber of Civil Engineers, Volume 284, pages, 4319-4331, (In Turkish). Inel, M., Ozmen, H.B. and Bilgin, H., (2007). “Re-evaluation of building damages during recent earthquakes in Turkey”, Engineering Structures, Volume 30, pages 412-427. Bilgin, H., Kaplan, H., Yilmaz, S., (2008). “Seismic Assessment of Existing R.C. Public Buildings in Turkey – An Overview with a Case Study”, “INTERSECTIONS International Journal”, Vol:5, pp:3–18. İnel, M., Bilgin, H., ve Özmen, H. B., (2007). “Seismic Evaluation Of Existing Mid-Rise Reinforced Concrete Buildings According To Specification For Building Structures To Be Built In Disaster Area” (Orta Yükseklikteki Betonarme Binaların Deprem Performanslarının Afet Yönetmeliğine Göre Tayini), Pamukkale Üniversitesi Mühendislik Bilimleri Dergisi, Cilt 12, Sayı 1, Denizli, (In Turkish). Özmen, H. B., İnel, M. ve Bilgin, H., (2007). “Effect Of Confined Concrete Behaviour On Reinforced Concrete Sections And Systems”, (Sargılı beton Davranışının Betonarme Eleman ve Sistem Davranışına Etkisi), Gazi Üniversitesi Mühendislik ve Mimarlık Fakültesi Dergisi, Cilt 22, Sayı 2, 375-383, Ankara, (In Turkish). Bilgin, H., “Performance Evaluation of Public Buildings”, (Mevcut Kamu Yapılarının Performans Değerlendirmesi), Turkiye Mühendislik Haberleri Dergisi, Sayı: 444-445 – 2006/4-5 (In Turkish). Bilgin, H., “Structural Analysis of Domed Roof Systems in Architect Sinan’s Works”, (Mimar Sinan Yapılarında Kubbeli Örtü Sistemlerinin Yapısal Analizi), Selçuk Üniversitesi Mühendislik – Mimarlık Fakültesi Dergisi, Cilt 21, Sayı 3-4, 119-128, 2006, Konya (In Turkish). İnel, M. ve Bilgin, H., (2005). “Reducing the Earthquake Effects on Buildings by Using New Technologies” (Binalar Üzerine Gelen Deprem Etkilerinin Yeni Teknolojiler Kullanılarak Azaltılması), IMO Denizli Bülten, Sayı: 46. Ekim-Aralık 2005, 50-52, Denizli. Bilgin, H., Huta, E. (2016). “Earthquake Performance Assessment of Low-Rise URM Building ”, 3rd International Balkans Conference on Challenges of Civil Engineering – 19-21 May 2016, Epoka University, Tirana, ALBANIA, ISBN: 978-9928-135-19-3, Page no: 144-152. Uruci, R, Bilgin, H., (2016). “Effects of Soft storey Irregularity on RC Building Response ”, 3rd International Balkans Conference on Challenges of Civil Engineering – 19-21 May 2016, Epoka University, Tirana, ALBANIA. ISBN: 978-9928-135-19-3, Page no: 136-143. Bilgin, H. “Nonlinear Analysis Methods For Deformation Based Seismic Assessment”, Invited keynote speaker, Third International Conference on Advances in Civil, Structural and Environmental Engineering – ACSEE, Zurich, Switzerland, October 10-11, 2015. Bilgin, H.“Evaluation of analysis procedures for seismic performance assessment”, Invited keynote speaker, Second International Conference on Advances in Civil, Structural and Construction Engineering – CSCE, Rome, Italy, April 18-19, 2015. Bilgin, H. “Seismic performance evaluation by means of nonlinear static methods: emphasis on RC buildings”, Invited keynote speaker, Second International Conference on Advances in Civil, Structural and Environmental Engineering – ACSEE, Zurich, Switzerland, October 25-26, 2014. Bilgin, H., Korini, O., (2013). “Seismic safety assessment of an unreinfroced masonry buildin in Albania”, Vienna Congress on Recent Advances in Earthquake Engineering and Structural Dynamics 2013 (VEESD 2013) C. Adam, RR. Heuer, W. Lenhardt & C. Schranz (eds) 28-30 August 2013, Vienna, Austiria, Paper No.:205. Bilgin, H., (2013). “Structural Analysis of post-Byzantine Churches: a case study for southern Albania”, International Balkans Conference on Challanges of Civil Engineering – 23-25 May 2013, Epoka University, Tirana, ALBANIA. Demaj, A., Bilgin, H., (2011). “Typological Classification of Post-Byzantine Churches in Albania”, International Balkans Conference on Challenges of Civil Engineering – 19-21 May 2011, Epoka University, Tirana, ALBANIA. Bilgin, H.,(2010). “Performance Evaluation of a School Building in Turkey”, International Congress on Advances in Civil Engineering, 27-30 September 2010, Karadeniz Technical University, Trabzon, TURKEY. Inel, M., Bilgin, H., and Ozmen, H.B., (2007). “Okul Binalarının Yeni Deprem Yönetmeliğine Göre Güçlendirilmesi (Evaluation of School Buildings Acording to Recent Turkish Earthquake Code) ”, Sixth National Conference on Earthqauke Engineering, 16-20 October 2007, İstanbul, Turkey (In Turkish). Ozmen, H.B., Inel, M., Bilgin, H., (2007). “Yumuşak Kat Davranışının Duvar Etkisi Dikkate Alınarak İncelenmesi (Investigations of Soft Story Behavior Considering Infill Effect)”, Sixth National Conference on Earthqauke Engineering, 16-20 October 2007, İstanbul, Turkey (In Turkish). Ozmen, H.B., Inel, M., Bilgin, H., (2007). “Betonarme Elemanların Doğrusal Ötesi Davranışlarının Modellenmesi (Modelling Non-Linear Behavior of Reinforced Concrete Members)”, Sixth National Conference on Earthqauke Engineering, 16-20 October 2007, İstanbul, Turkey (In Turkish). Ozmen, H.B., Inel, M., Bilgin, H., (2007). “Türkiye’de Yaşanan Deprem Hasarları ve Yapı Stokunun Değerlendirilmesi (Earthquake Damages in Turkey and The Evaluation of Building Stock)”, Sixth National Conference on Earthqauke Engineering, 16-20 October 2007, İstanbul, Turkey, (In Turkish). Bilgin, H. ve Özmen, H.B., (2006). “Kamu Yapılarında Beton Dayanımı ve Enine Donatının Performansa Etkisi (Effects of Concrete Strength and Transverse Reinforcement on the Performance of Public Buildings)”, 7th International Congress on Advances in Civil Engineering (Yedinci Uluslararası İnşaat Mühendisliğinde Gelişmeler Kongresi), 11-13 October 2006, Yıldız Technical University, İstanbul, Türkiye. Bilgin, H., İnel, M. ve Özmen, H. B., (2006) “Kamu Yapılarının Deprem Kapasitelerinin Değerlendirilmesi, (Evaluating the Seismic Capacity of Public Buildings)” Yapısal Onarım ve Güçlendirme Sempozyumu, 237-246, 07-08 Aralık 2006, Denizli. Bilgin, H., İnel, M. ve Özmen, H. B., (2006). “Orta Katlı Betonarme Yapıların Deprem Performansları (Seismic Performance of Mid-Rise Reinforced Concrete Buildings)”, Yapısal Onarım ve Güçlendirme Sempozyumu, 247-253, 07-08 Aralık 2006, Denizli. Özmen, H.B., İnel, M. ve Bilgin H., (2006). “Orta Katlı Betonarme Yapılar için Performans İstemi Hesaplama Yöntemlerinin Karşılaştırılması (Comparing the Seismic Demand Calculating Methods for the Mid-Rise Reinforced Concrete Buildings),” Yapısal Onarım ve Güçlendirme Sempozyumu, 254-262, 07-08 Aralık 2006, Denizli. İnel, M. ve Bilgin H., (2006). “Tip Bir Kamu Yapısının Performans Değerlendirmesi (Performance Evaluation of a Typical Public Building),” Yapıların Dış Perde Duvar Uygulaması İle Güçlendirmesi Çalıştayı, 01-02 Haziran 2006, Denizli. Bilgin, H., Özmen, H. B. ve İnel, M., (2005). “Kamu Yapılarının Performanslarının Doğrusal Ötesi Davranış Modelleriyle Değerlendirilmesi (Performance Evaluation of Public Buildings Using Non-linear Analysis Models)”, Deprem Sempozyumu Kocaeli 2005, 555-564, 23-25 Mart 2005, Kocaeli. Bilgin, H., (2005). “Sinan Kubbeli Yapılarında Mekan Örtü Sistemlerinin Yapısal Davranışı (Structural Behaviour of Domed Roof Systems in Sinan’s Works)”, Deprem Sempozyumu Kocaeli 2005, 555-564, 23-25 Mart 2005, Kocaeli. Türkmen, M. ve Bilgin, H., (2002). “Geleneksel Mimaride Kubbeli Örtü Sistemlerinin Yapısal Davranışı (Structural Behaviour of Domed Roof Systems in Traditional Architectural Buildings)”, Balıkesir Üniversitesi, IV. Mühendislik-Mimarlık Sempozyumu, 329-338, 11-13 Eylül 2002, Balıkesir. `Techniques and Methods for the Investigation of Existing Structures`, Polytechnic University of Tirana, 2-4 April 2019, Albania. Knowledge FOr Resilient soCiEty (K-FORCE), Project no: 573942-EPP-1-2016-1-RS-EPPKA2-CBHE-JP supported by European Funds (Ongoing). Conditional Assessment of Five Ottoman Mosques in Albania, funded by the Turkish Cooperation and Coordination Agency (TIKA) in Albania, 2011-2012. Earthquake science school for High School Teachers in Turkey, TUBITAK Science and Public Project, 110B072, Educator, Guide, 2010-2011. Modelling Non-Linear Behaviour of Reinforced Concrete Sections with the Aid of Computers, (Betonarme Elemanların Doğrusal Ötesi Davranışlarının Bilgisayar Ortamında Modellenmesi) TÜBİTAK Project, No: 105M024, 2005-2007. Investigation of the Changed Earthquake Code Specifications for the Strength and the Ductility Capacities of Reinforced Concrete Public Buildings (Değişen Afet Yönetmeliği Şartlarının Betonarme Kamu Yapılarının Dayanım ve Süneklik Kapasiteleri Üzerindeki Etkilerinin Araştırılması), Pamukkale Üniversitesi Scientific Research Project (PAUBAP), 2006MHF007, 2006-2007. Memaçi, E., (2019), “Service Life Assessment and The Durability of Steel Poles Joints By Means Of Nominal And Structural Stress Concept (“Hot-Spot Stress” Method)”, MSc thesis, 77 pages, Epoka University, Tirana, Albania. Meta, S., (2018), “Seismic performance evaluation of unreinforced and confined masonry residential buildings in Albania”, MSc thesis, 93 pages, Epoka University, Tirana, Albania. Leti, M., (2017), “Estimation of the seismic demand and capacity of RC buildings through incremental dynamic analysis“, MSc thesis, 121 pages, Epoka University, Tirana, Albania. Ramadani, F., (2017), “Structural behavior and and assessment of Bajraklı Mosque in Western Kosovo“, MSc thesis, 73 pages, Epoka University, Tirana, Albania. Uruci, R., (2016), “Effects of structural irregularities on low and mid-rise RC building response“, MSc thesis, 70 pages, Epoka University, Tirana, Albania. Huta, E., (2015), “Earthquake performance of low and mid-rise masonry buildings in Albania“, MSc thesis, 130 pages, Epoka University, Tirana, Albania. Kokaj, M., (2014), “Effects of irregularities on structural performance of residential buildings designed according to Eurocode“, MSc thesis, 146 pages, Epoka University, Tirana, Albania. Qardja, R., (2013), “Seismic performance assessment of RC framed buildings designed according to EuroCode 8“, MSc thesis, 174 pages, Epoka University, Tirana, Albania. Fule, Z., (2013), “A case study on structural assessment of St. Savior Basilica in Southern Albania“, MSc thesis, 83 pages, Epoka University, Tirana, Albania. Frangu, I., (2013), “Seismic performance evaluation of a RC public building: A case study from Albanian practice“, MSc thesis, 91 pages, Epoka University, Tirana, Albania. Korini, O., (2012), “Seismic assessment of Albanian masonry buildings using nonlinear procedures“, MSc thesis, 150 pages, Epoka University, Tirana, Albania. Zhulegu, E., (2012), “Comparison of Albanian seismic code and Eurocode 8 for a typical residential R/C building“, MSc thesis, 133 pages, Epoka University, Tirana, Albania. Demaj, A., (2011), “Structural analysis of Post-Byzantine churches: A case study for southern Albania“, MSc thesis, 50 pages, Epoka University, Tirana, Albania. Scholarship from The Scientific and Technological Research Council of Turkey (TUBITAK) and TIKA. Awarded with the best Academician of Epoka University during 2009-2010. AutoCAD, MathCAD, Microsoft Applications, SAP2000, ETABS, SAFE, PERFORM 3D, IdeCAD static, USEE, NONLIN, ZEUS NL, TREMURI, DIANA. Yapısal Onarım ve Güçlendirme Sempozyumu (Denizli, 2006), (Organizing committee member). International Balkans Conference on Challenges of Civil Engineering – 19-21 May 2011, Epoka University, Tirana, ALBANIA, (Organizing committee member). International Students’ Conference of Civil Engineering, Epoka University, Tirana, Albania, 10-11 May 2012, (Co-chairman). 2nd International Balkans Conference on Challenges of Civil Engineering – 23-25 May 2013, Epoka University, Tirana, ALBANIA, (Chairman). 3rd International Balkans Conference on Challenges of Civil Engineering – 19-21 May 2016, Epoka University, Tirana, ALBANIA, (Co-chairman).